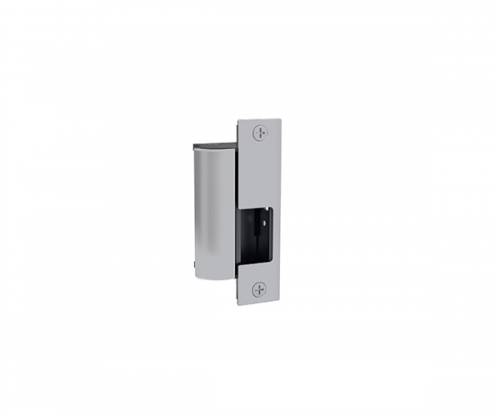 The 8300 series is a fire rated, compact, high performance electric strike featuring a unique concealed design for use with cylindrical locksets. No cutting on the frame is required. 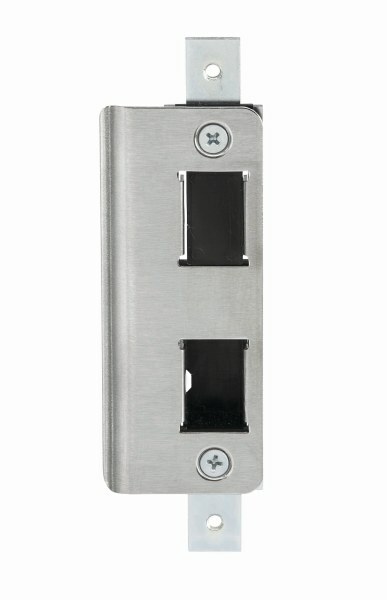 Simply remove the existing strike plate, adjust the vertical alignment feature to the latchbolt centerline, and install. Its strength is derived from a unique keeper pin locking design. 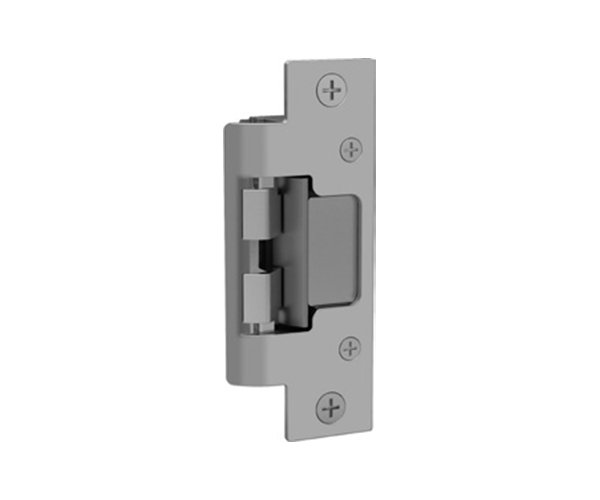 This unique electric strike is easy to install and complies with NFPA 80-07 guidelines for retrofit into fire-rated frames. The 8300 accommodates latchbolts up to 5/8″ throw. Metal and wood frame application. Vertical adjustability to accommodate door sag and misalignment. Tamper resistant. Static strength of 1,500 pounds and dynamic strength of 70 ft-lbs. Endurance 500,000 cycles. Field selectable fail secure and fail safe. Non handed. Grade 1. 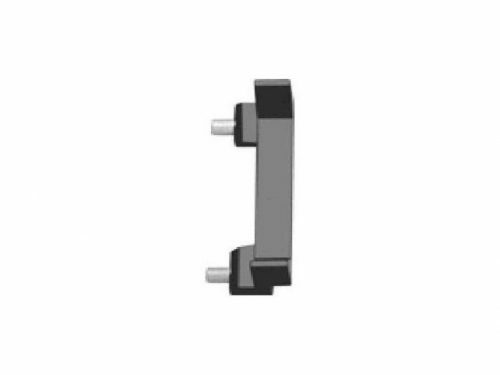 Accommodates 1/2″-5/8″ cylindrical latchbolt (5/8″ with 1/8″ door gap). Strike body depth 1-1/16″. Plug in connector.